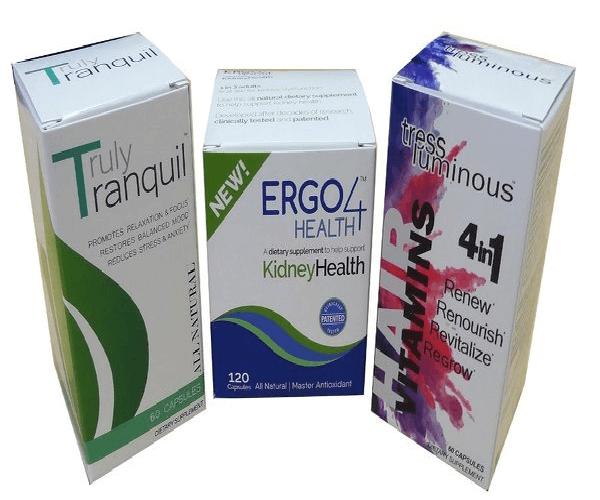 We, at Business Image Printing, are going to help you create a professional and custom printed Dietary Supplement boxes. Choose the correct color and printing style to enunciate your brand and Supplement products image. We offer numerous custom printed supplement boxes to small and large companies operating in the medicine industry. We have a solution for every one of your packaging woes and can guarantee you increased sales by using our customized supplement boxes printing. Our team at Business Image Printing works diligently with customers each step of the way. From the initial design development to choosing the printing techniques, our team of professionals makes sure that the development process and packaging design caters to your packaging needs. Our custom printing solutions for supplement boxes packaging are of premium quality and 100% customizable. They also feature attractive designs exclusively available through our platform. Apart from this, our service speed and affordability often becomes the envy of others in the market. This is all due to our team of talented individuals along with state of the art printing facilities. Please contact us when you are in need the Custom Packaging for your Supplement Products.